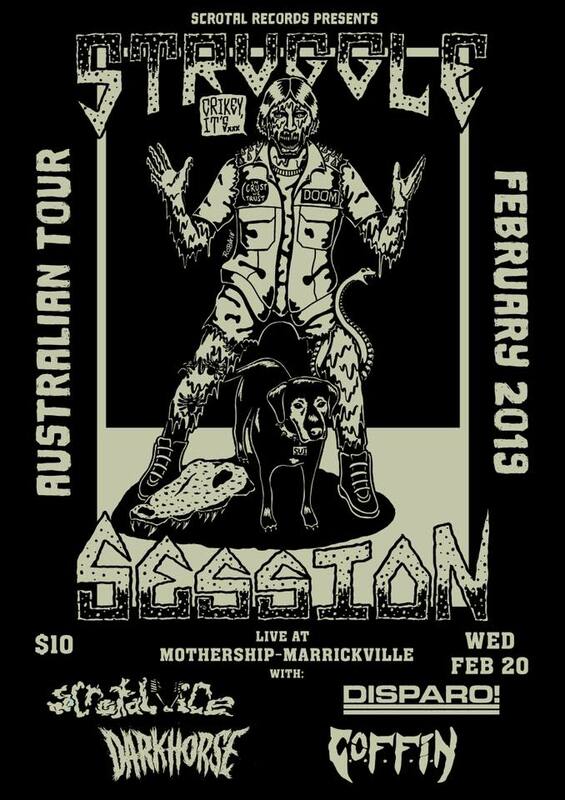 Beijing based STRUGGLE SESSION are bringing their brutally fun brand of fastcore to Australia for the first time, with a stop in at the Mothership!!! Sydney based Psychotic Skate Punk & Aussie Pub Thrash! Formerly Sydney-based Extreme Post-Op Power Grinders back to disgrace Australian shores for the first time since their 2016 Humanimal tour! Sydney miscreants with lashings of D-Beat, Grind, Crust, Punk and Metal up their shattered sleeves. Fastcore forever – sleep fucken never!! !